Liz Lurie has been a studio potter for twenty years. 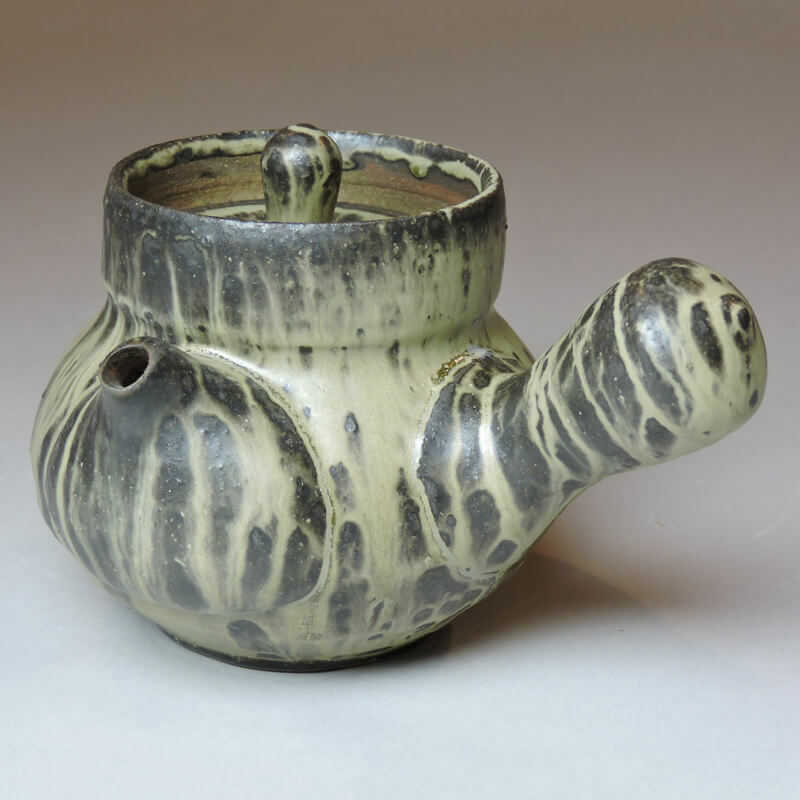 She was introduced to ceramics in Mikal Zakin’s classroom at Sarah Lawrence College. After graduating with a concentration in dance and ceramics, Lurie pursued her interest in pottery full-time when she left her native Manhattan to become a member of a wood-fired kiln collective in rural Georgia. After setting up studios and building kilns in both Dallas, TX. and Greene NY., Lurie has currently established a studio outside of Chittenango, NY., where she teaches community classes and maintains show room. Her work has been exhibited nationally, most notably at AKAR, Trax Gallery, The Signature Shop, Red Lodge Ceramic Center and the Harvey Meadows Gallery. Lurie has been a visiting artist and workshop leader at many institutions, including Arrowmont School of Arts and Crafts, University of Missouri Columbia, University of North Texas and the Chautauqua Institution. Her work has been published in Ceramics Monthly, Ceramics Technical, Studio Potter and the Log Book. Lurie is co-founder of the Dallas Pottery Invitational, which will be celebrating its ten-year anniversary in 2017. Central to my work is the desire to communicate a strong sense of muscular physicality, harmony and a quiet beauty that reveals itself slowly. I am interested in the subtle changes in form that happen over time, a slightly different angle, a lowering of volume, or an addition of an appendage. These slight nuanced variations give rise to the evolution of form. I find deep satisfaction in working within the limits of function. For me, there is freedom in the structure that use provides. It is fulfilling to look at a full studio of stacked bowls and cups, teapots and plates knowing they will be hard at work in the hands of others. There is directness to their intention as they fulfill their lives on counters, in cupboards and dish racks. The trough series is a departure from obvious function, challenging ideas of use and the everyday. This work stems from thinking about what is essential; shelter (represented by a cradle like form), sustenance/ nourishment (expressed by the trough form or bowl like cavity) and work (referencing tools of manual labor.) The trough series represent the intersections of these ideas. Subjecting my work to the irregularities of the wood kiln yields a surface that suggests age and a passage if time. The wood kiln makes a layered history to the surface, softening information and hinting at what may or may not be underneath. Of late I have been particularly intrigued by the notion of a vestige, an indicator of what was once more prominent or useful. This has the potential to trigger memory and fuel imagination. Although this element of ‘vestige’ in the work may be understated it contributes to deciphering the objects meaning. Growing up, I was captivated by a cluttered, object rich environment. My parents were passionate collectors of antiques, furniture, prints, old tools, and pottery. They all contributed to the making of a warm atmosphere. The old tools were of special interest to me. Worn with use and purpose, these objects had a weight, a balance and an imagined story that I was drawn to. The old world prints also evoked an atmosphere of melancholy and texture through a beautiful layering of lines. It is my hope that my work provides an equal amount of comfort and intrigue.